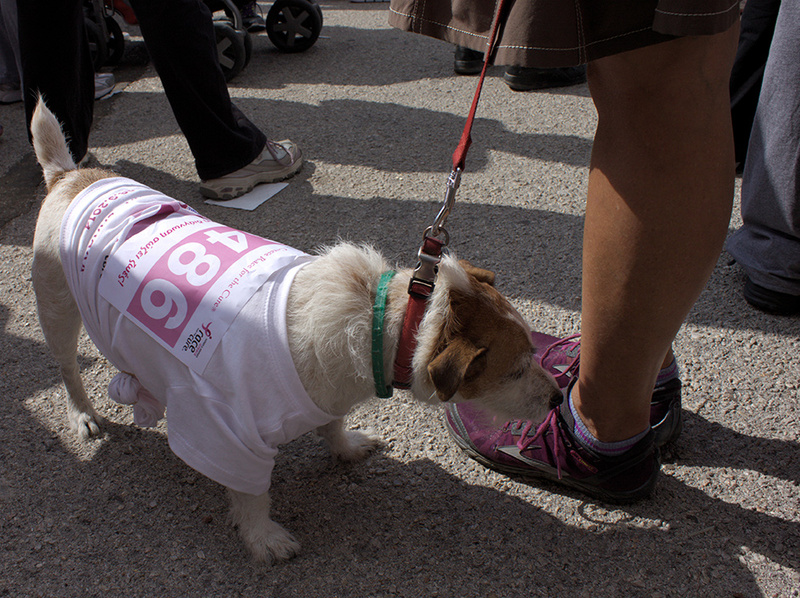 I was at Zappeio on Saturday, not running (no superhero here – sorry) but walking with Race for the Cure. 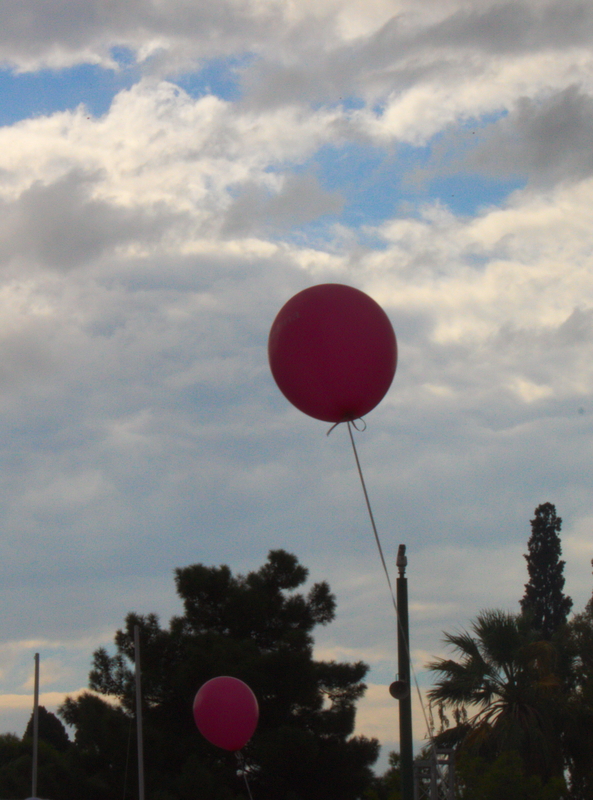 We were quite a crowd: survivors, families, friends, kids and pets and pink balloons. 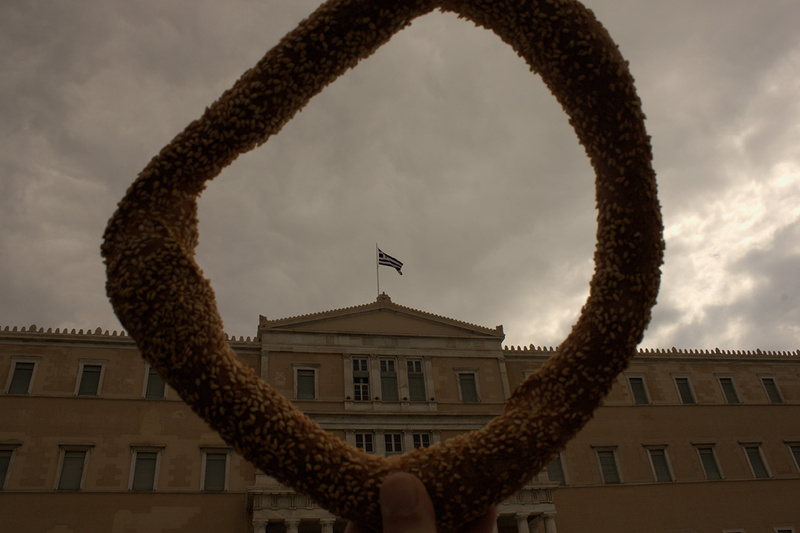 We managed to dodge the rain under a very indecisive grey cloud. The central roads were closed and we we had the luxury of walking to beating drums. 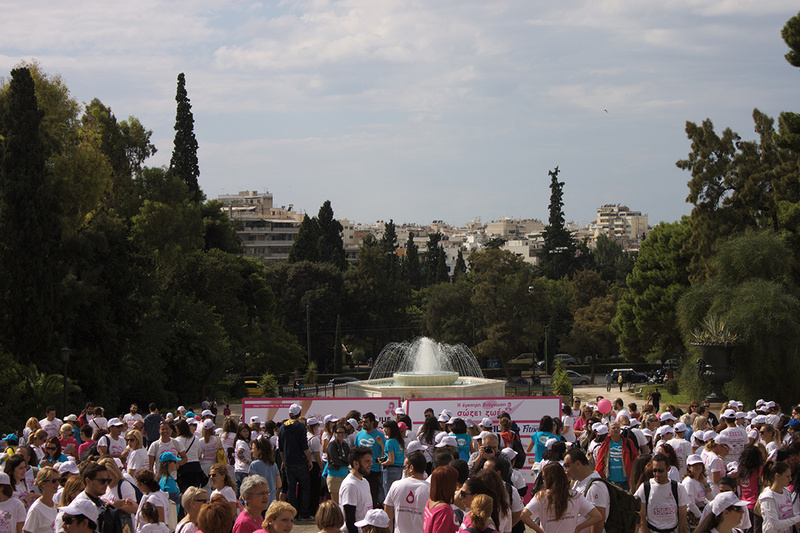 We left the front door of Zappeio Megaro, walked through the leafy park and out into the very central Syntagma square. 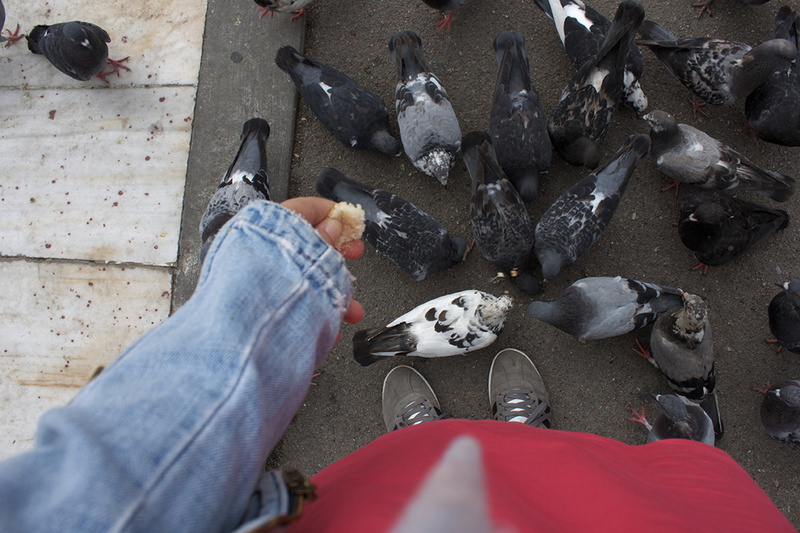 I stopped at Parliament to feed the birds, as is customary, and then continued around the National Gardens, in a full circle reaching Zappeio again. A lovely walk. Perhaps next year, I will be running too! I have family and very dear friends that have recently passed through their own adventure with cancer. 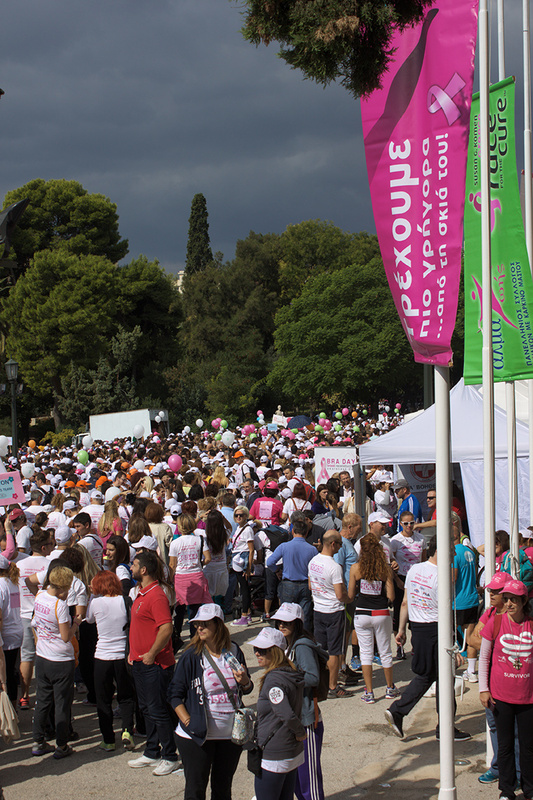 Breast cancer is one of the most curable types of cancer if found early. Yet, according to 2012 statistics it affects almost 1.7 million men and women worldwide and going through it is no piece of cake. It’s a long, tough and exhausting treatment. But there are some small and simple things we can do, such as following a balanced and healthy diet, to alleviate the side effects during therapy and perhaps even prevent contracting cancer in the first place. Cancer research UK & MacMillan Cancer Support provide excellent information on this matter. The Mediterranean diet has often been praised for its qualities as a balanced and super-healthy choice. It is by default very rich in vegetables and fruit; using olive oil instead of butter or other fats, a lot of fish and moderate consumption of dairy and meat. 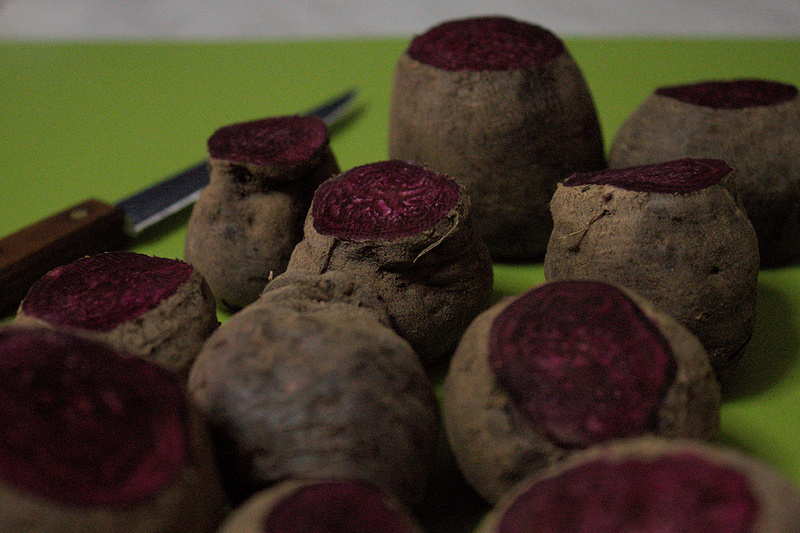 So I chose the humble beet to share with you, often forgotten but truly good for you and really tasty when done right. 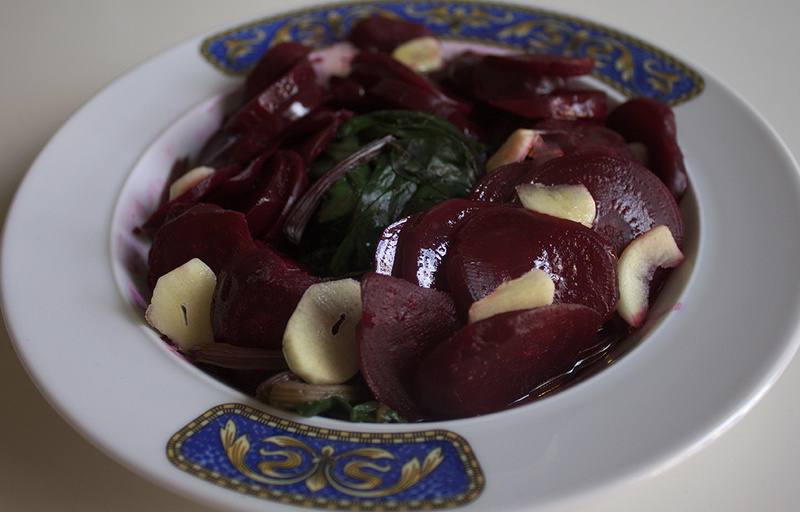 I made a very simple beetroot salad. If you find some fresh, go for them as you can use the tender leaves in your salad too. Try to pick small heads , which are tastier,and please make sure you give them a good rub, these little roots tend to be covered in soil. Place in a pot, cover with water, and they should be ready within 20-25 minutes maximum. Be careful not to over-boil them, it’ll turn them into mash and they will lose all their nutrients. 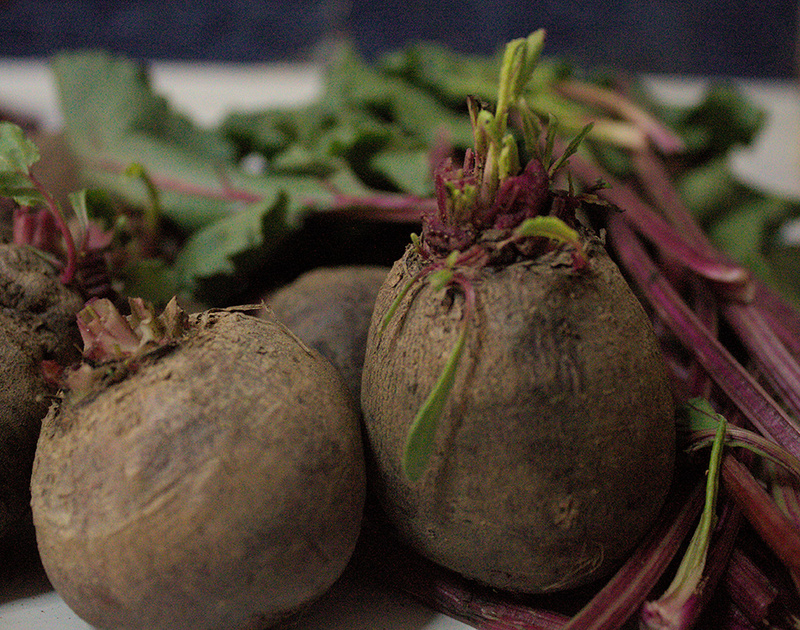 Some people keep the broth once the beetroots are boiled, add some lemon juice or cider vinegar and thus turn it into a juice.